The new season homeware arrivals have got us thinking of beautiful blooms, new neutral shades and fun filled family time. The gorgeous fresh looks are easily tranlasted into your home with clever accessorising, soft hues and pops of floral. Get everything you need to channel this homeware trend from Debenhams, TK Maxx, Argos, TJ Hughes, Primark and more! 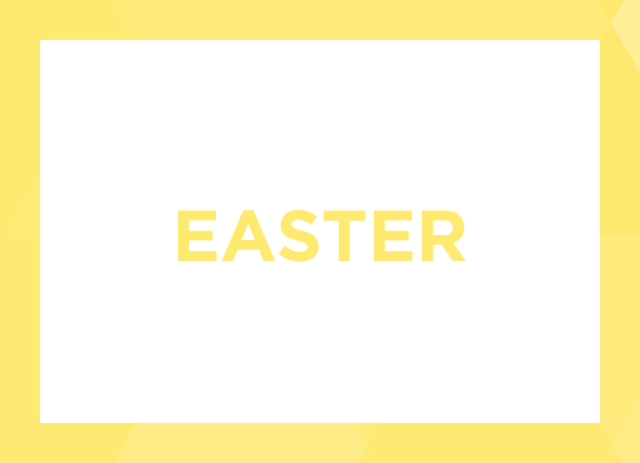 Click here for Hoppy Easter! Calling all perfume fans! If you love to try out new fragrances then you'll love the all new subscription service from The Fragrance Shop! Discover new fragrances straight to your door for just £12 a month! Ask in store for more details. Costa have just launched the most dreamy treat, and we can't wait to give it a try! The Vegan Sticky Toffee and Pecan Cookie is now available in store, and it has even won a Peta Vegan Food Award! Love Katsu curry as much as we do? Then you definitely need to get yourself to Moka on the balcony at Fishergate to try the tasty new addition to their menu! Perfectly crisp chicken, fluffy rice, and oh-so-delicious katsu curry sauce. Yum! Add a little zing to your morning with the Little Pot Of Energy Naked Body Lotion from Lush. The citrus scents of grapefruit and orange are sure to have you ready for whatever the day may bring! Sparkle up your day with the gorgeous new collections at H Samuel for Spring! How stunning are these rainbow hued earrings? Looking to update your home office with the latest in Apple tech? Your search is over- Western Computers have everything you could need and more! Accessories are key when it comes to personalising your living space and making it feel like a home. We love this quirky little corner, perfectly accessorised with a vase, lamp and cushions, all from Argos. As Spring gets into it's stride there is nothing nicer than spending more time outdoors, and this gorgeous garden table & bench seating is a great way to enjoy a little al fresco dining with the family! Lazy weekends spent on the sofa with a great film are our favourites, and what better place to lounge around than this sofa from Argos! Zingy colours are the perfect way to brighten up your bedroom for Spring and this yellow throw from Debenhams is just what you need. We love the luxe look of this bedding, available at Debenhams. Add some sunshine to your home with golden hued accessories- Poundland have a fantastic selection in store this Spring at such a fantastic price you'll want it all! Prefer simple white walls and splashes of colour from your accessories? Find your ideal office decor at Argos, perfect for those work from home days! We can never get enough personalised decor in our house, so imagine the excitement when we spotted this light up pegboard from Primark... so cute! Would you believe that these gorgeous prints are from Poundland? The best way to update any room without breaking the bank this season! Whether you love an artsy print, pictures of your loved ones or dream holiday destinations, everyone needs more photo frames in their home. Find a great selection of sizes and styles in store now at TJ Hughes! Breathe life into your home with fabulous bold prints and statement colours. The Stockholm Spring trend at Argos is perfect for a kitchen refresh. Love colour? TK Maxx has plenty to choose from in the homeware department. Whether you’re after some new soft furnishings, a piece of unique furniture or some statement wall art, you’ll be spoilt for choice! How beautiful are these Prism lights from Debenhams? Make a statement with a collection of colours and sizes or just add a couple to your room for subtle yet stunning detailing!